About Acquired Hypothyroidism | Crank It! Acquired Hypothyroidism is simply hypothyroidism that has been ‘acquired’ as a result of any one of a number of health issues. The primary cause in the developed world is the autoimmune disease Hashimoto’s thyroiditis but in developing countries it’s still largely caused by dietary iodine deficiency. 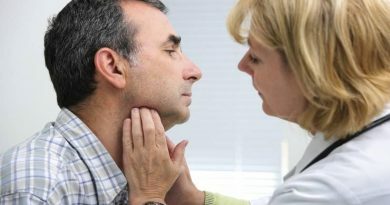 Other causes of acquired hypothyroidism include thyroid tumors, thryoid surgery, pregnancy, radiation treatment and disorders that affect the pituitary and hypothalamus. Hashimoto’s disease is the most common cause in countries like the US. This is an autoimmune disease in which the body’s immune system is erroneously programmed to destroy its own tissues. However, worldwide the primary cause of hypothyroidism remains iodine deficiency due to the large numbers of people with the disease in developing countries. Acquired hypothyroidism can also be caused by thyroid tumors or nodules that destroy thyroid tissue. Surgery to remove these can also leave the patient with either no thyroid gland or an underactive thyroid gland. Radiation treatment for thyroid and other upper body cancers can damage the thyroid gland, as can radioactive iodine treatment used to treat Graves disease. Pregnancy can cause certain types of hypothyroidism which, if not treated promptly, usually lead to developmental issues in the fetus. Hashimoto’s thyroiditis, also called chronic thyroiditis, is named for the Japanese doctor who discovered it. It affects about 5% of the adult population, increasing particularly in women as they age. Hashimoto’s, the most common form of thyroiditis, is the leading cause of hypothyroidism. Hashimoto’s thyroiditis results from problems with the body’s immune system. Normally, the immune system defends against germs and viruses, but in diseases such as Hashimoto’s, the immune system attacks the body’s own tissues. In patients with Hashimoto’s thyroiditis, the immune system produce antithyroid antibodies, which damage the gland and keep it from producing enough hormones. Diseases of the immune system tend to run in families and are about five times more common in women than in men. Hashimoto’s is linked to other autoimmune conditions, such as Graves’ disease, premature gray hair, diabetes mellitus, arthritis and patchy loss of pigment of the skin (vitiligo). 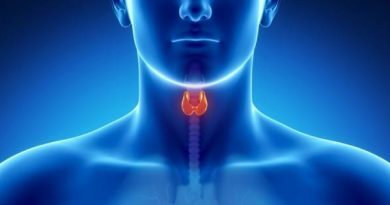 The effects of acquired hypothyroidism are generally vague and are often overlooked. They’re also common to any number of other disorders, including menopause. You’ll find a list of them here. 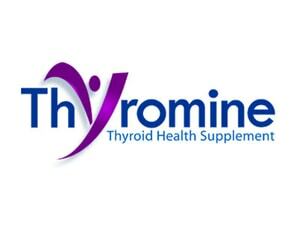 Free T4 – it is a part of Thyroid hormone that is active and available. TBG – Thyroid binding Globulin. It is a protein attach to Thyroid. Thyroid Antibodies. These are substances that develop and cause interference to production of T4 and T3 by the Thyroid Gland. In case the blood tests produce abnormal results, ultrasound examination of the Thyroid gland may be done to take pictures of the gland. Radioactive Iodine scan using a dye and X-rays can be done to know the function of the Thyroid. The most effective treatment for acquired hypothyroidism in patients of any age is hormone replacement therapy. This medication is administered daily in a pill, on an empty stomach, and usually first thing in the morning. Close ongoing monitoring of hypothyroidism patients is required to track progress and ensure dose rates are still correct. Overdosing can be as problematic as under dosing. August 18, 2015 Donna Morgan Comments Off on What Causes Primary Hypothyroidism?